Saint Lucia Airport to Harmony Suites in Rodney Bay Village. lowest St Lucia Taxi Rates, Fares, and Fees. What is the lowest price for a shuttle from Hewanorra (UVF) International Airport to Harmony Suites Resort? ​This property can be a great option for travelers, and getting there can be easy when you book a transfer from the St. Lucia Airport to Harmony Suites. Looking for the best rate for a private airport transfer to Harmony Suites Hotel? ​The privacy and seclusion of Harmony Suites makes it hard for guests to tell that they are in the middle of the popular Rodney Bay, while offering ideal proximity to all that the area has to offer. Restaurants and a bustling nightlife can be found only steps away from the property, yet the suites and grounds offer a perfect respite for travelers looking to relax. If you are curious to know the distance between Hewanorra (UVF) International Airport St. Lucia and Harmony Suites Hotel in a private, executive car transfer, you will find that it is about 90 minutes via the island’s scenic east coast. 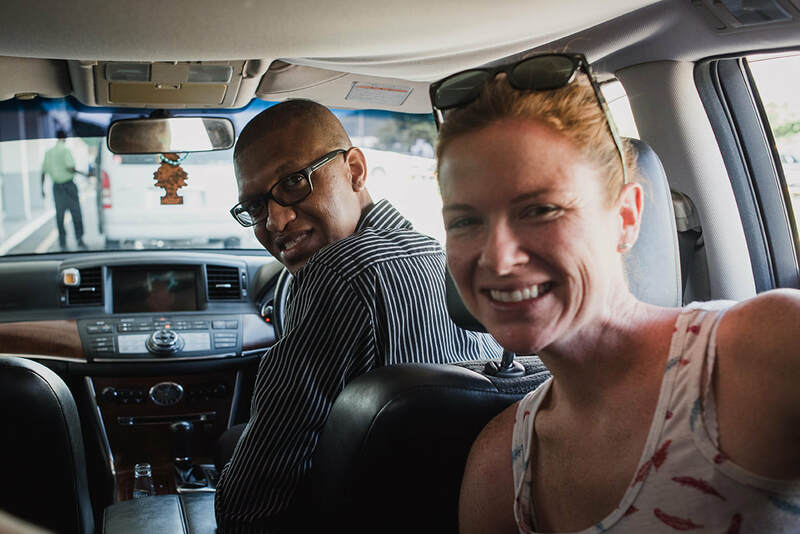 In addition to knowledgeable, friendly drivers, we also offer the best rates on the island. Whether you are looking to make a one way trip or will be using our service for round trip transportation, our private transfers are offered at the island’s best rates and our cars are always climate controlled. For example, a private transfer from Hewanorra (UVF) International Airport to Bay Gardens Beach Resort is only USD $70 for up to three people.